Insalata Caprese (salad in the style of Capri) is a simple salad from the Italian region of Campania, made of sliced fresh buffalo mozzarella, plum tomatoes and basil. It is seasoned with salt, black pepper, and olive oil. Some variations include adding chopped garlic, parsley, and various sauces (Balsamic Vinegar, Italian Dressing, etc.). 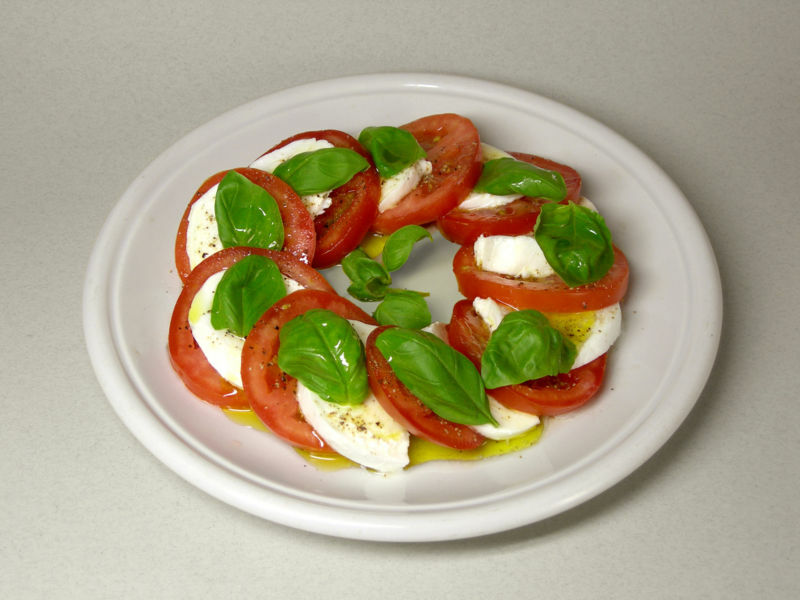 This dish is also known as a Tricolore salad due to its three colours, which mimic the Italian flag. 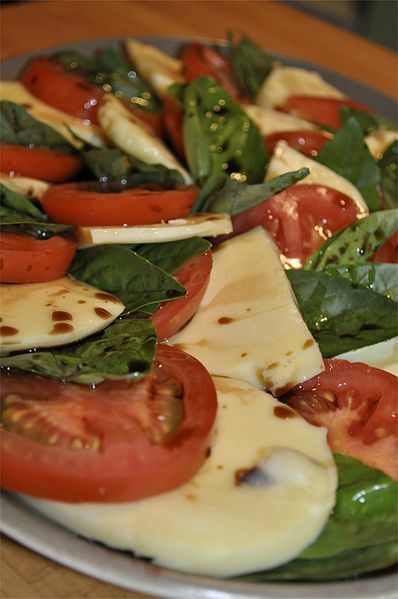 Insalata Caprese (or Tomato and Mozzarella Salad) is prepared by arranging alternating ½ in. thick slices of tomatoes and ¼ in. slices of mozzarella on a platter, sprinkling with fresh basil leaves, drizzling with olive oil, and then seasoning with salt. Left: Insalata caprese, made from mozzarella, tomatoes, olive oil and basil.